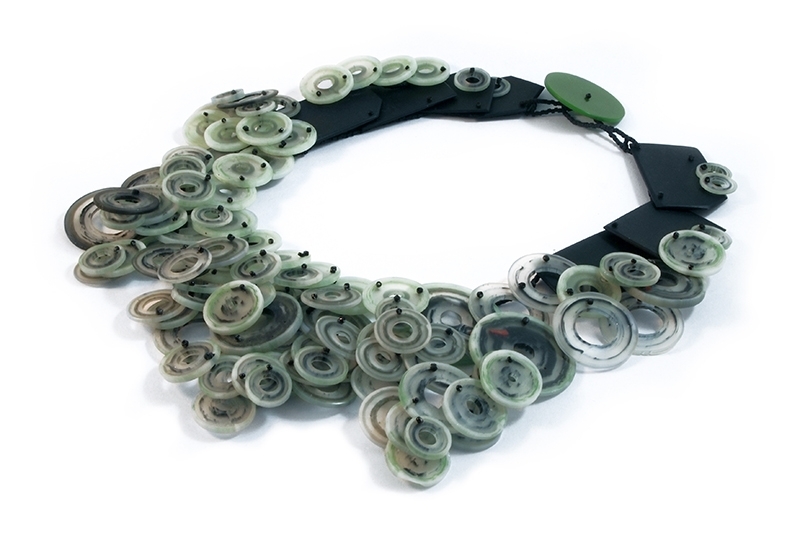 Erica Rosenfeld uses glass, beads, fabric, food and found objects to create her work. Aside from her sculpture, installations and performances, she creates jewelry and functional glass using Bullseye glass canes. Through all of these disciplines she seeks to make work that expresses time, conveys history, and serves as a means to preserve perceived memory. 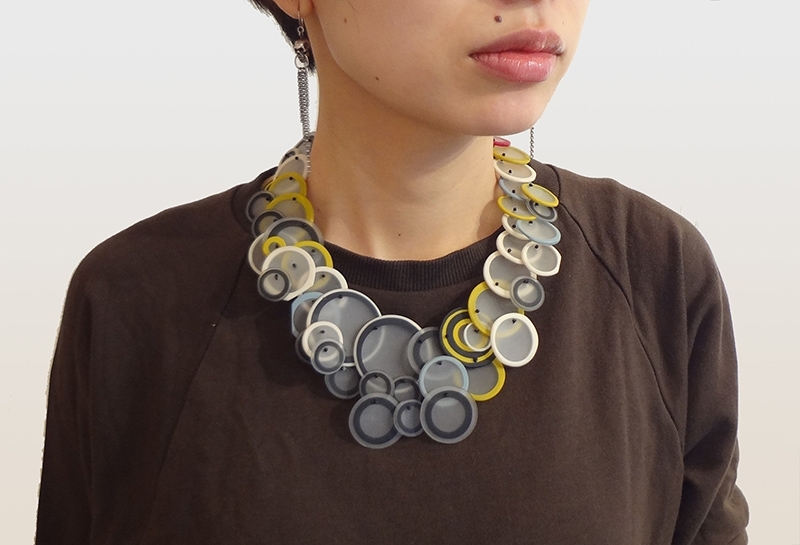 Her wearable art acts as models for her larger scale work; her sculpture becomes a memory of its smaller counterpart. Rosenfeld has taught at Urban Glass, The Corning Museum and Worchester Center for Crafts. She has been a visiting artist at University of the Arts, Pratt University and University of Louisville. Her work is included in the collection of the Museum of Arts and Design and The Museum of American Glass, and has been featured in various publications including The New York Times, Glass Magazine, New York Magazine and American Craft. My jewelry is created by using various glass and beading techniques. 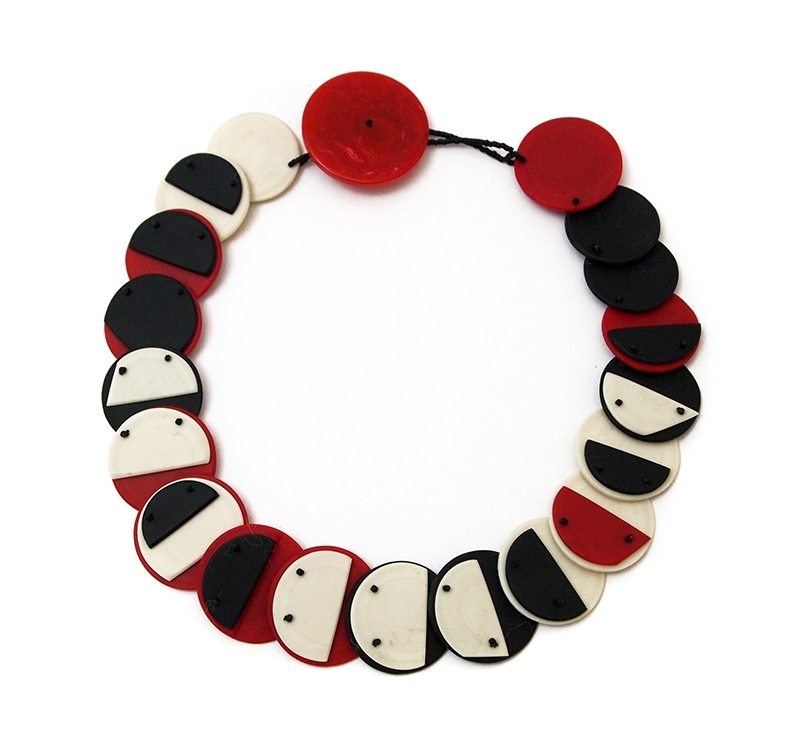 I fuse, hot-work, blow and carve glass to create components which I then bead into necklaces, earrings, rings and bracelets. I also fuse, roll-up, blow and carve glass to create bracelets and rings. All of the work represents models for larger scale sculptural forms that I make as well.